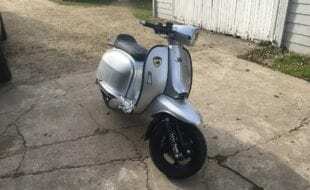 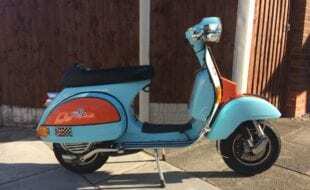 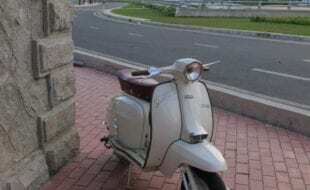 1959 Vespa Douglas L152L2 125cc scooter. 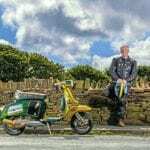 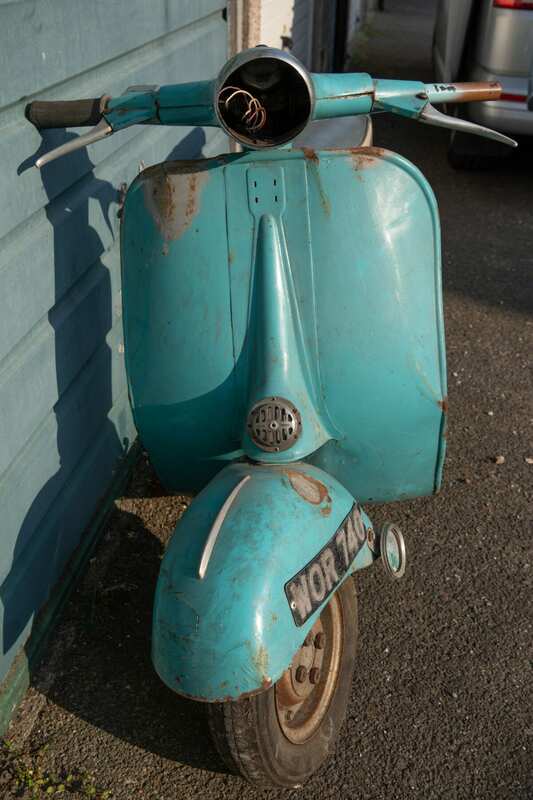 I have owned this scooter since 1994 when I purchased it from the 3rd owner, although I am listed as only the second owner on the V.5. 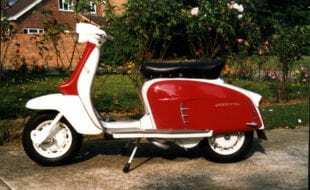 In 1995 it was nicked in south London by the local herberts. 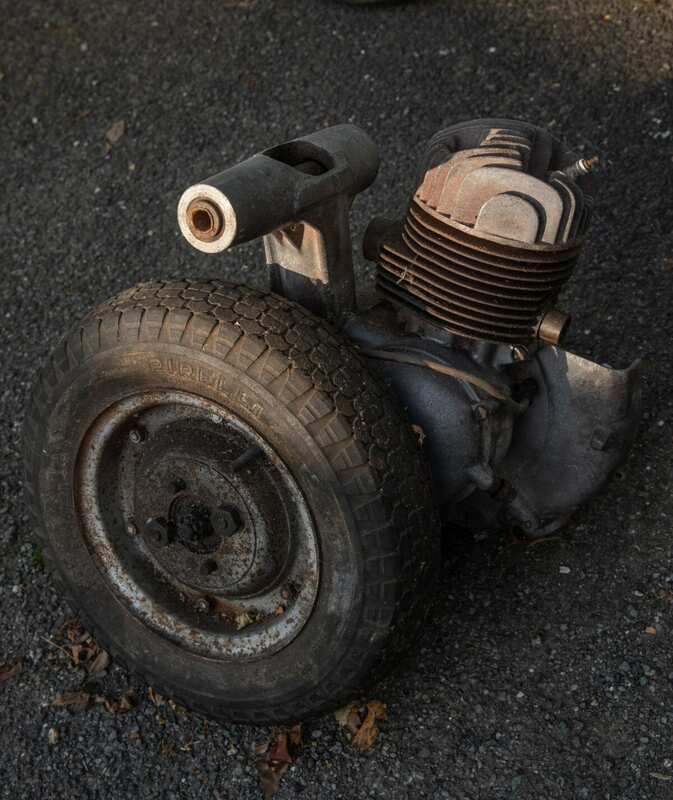 I recovered it from Burgess Park with engine seized and a side panel missing. 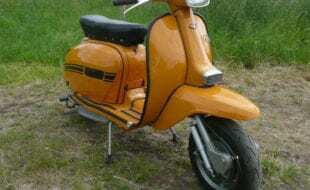 I sorced all the major missing parts as I intended to restore it but never got round to it. 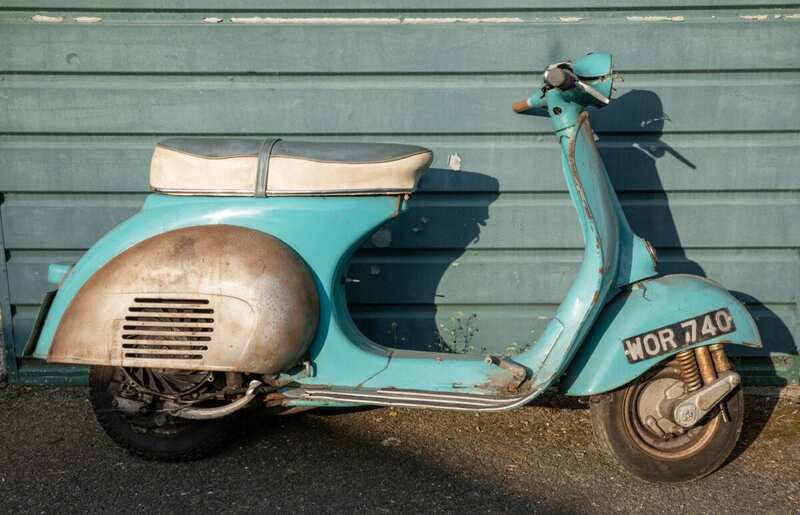 It has been stored in a dry garage for the past 24 years. 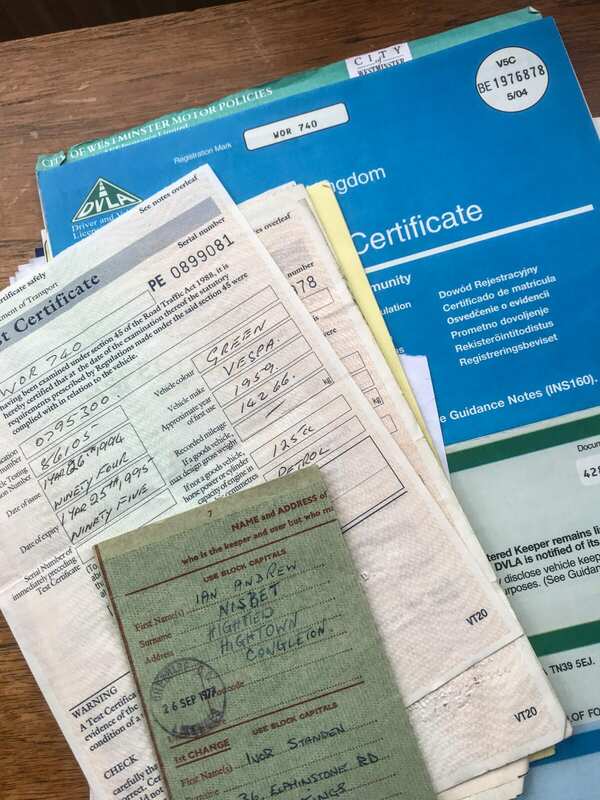 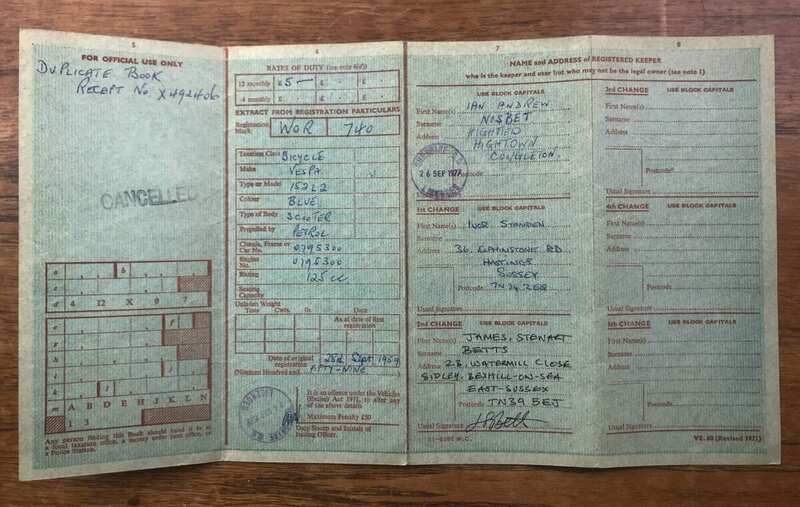 It has it’s original log book and current V5 and original owners manual. 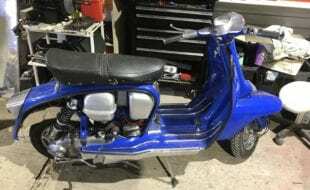 The frame and engine numbers match. 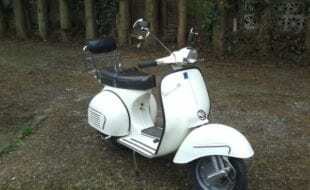 It has its original reg number WOR740 but this is non transferable. 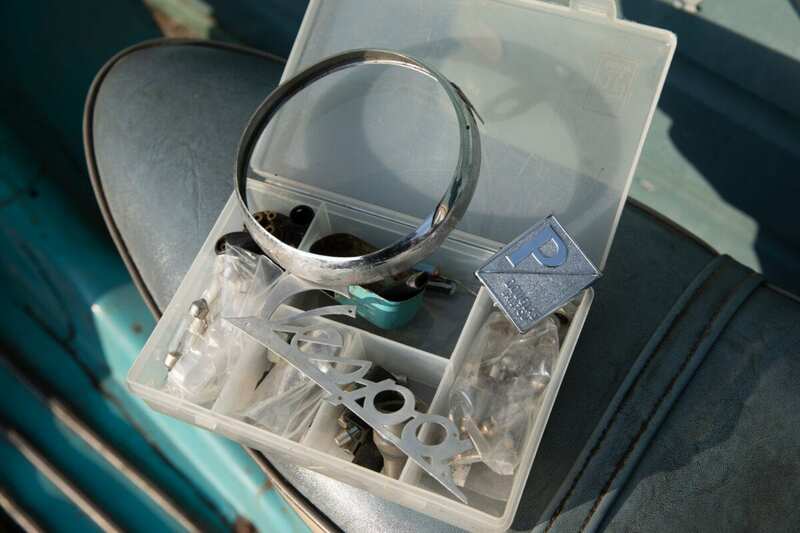 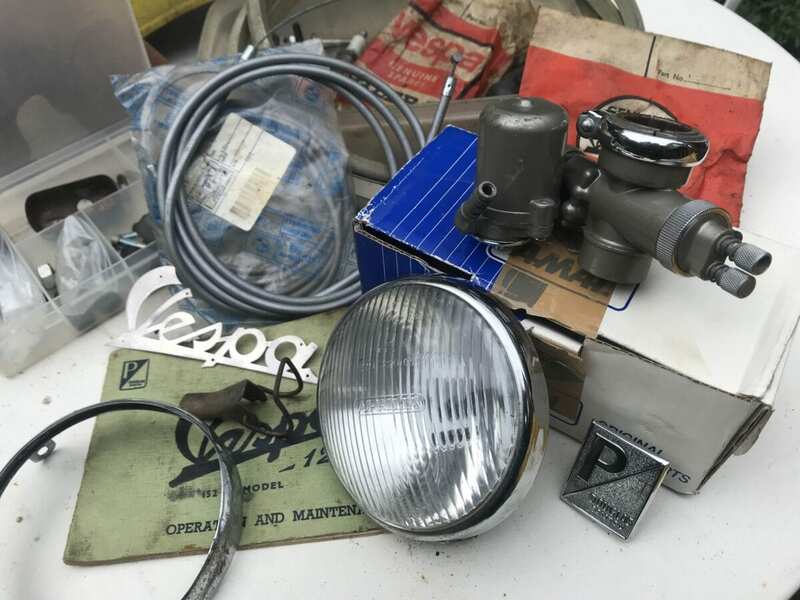 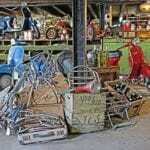 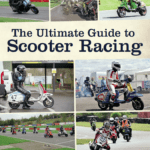 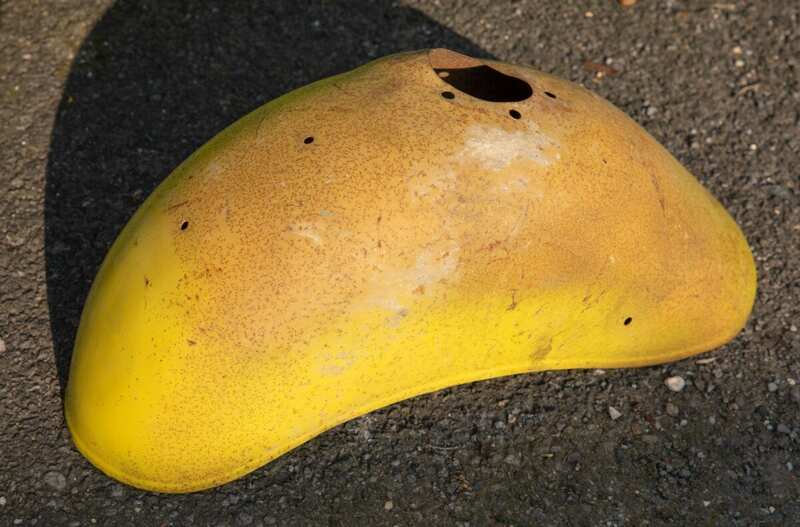 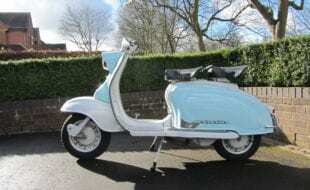 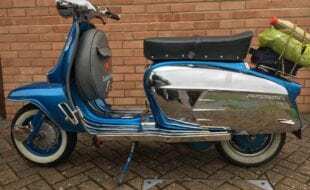 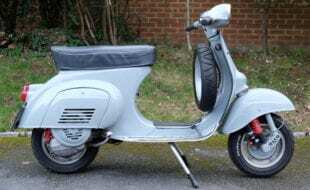 It comes with a spare unseized engine, the correct refurbished Amal carb, an undented front mud guard,unpainted or dented engine panel, lens reflector and bulb holder, leg shield panel badge and other odds and sods. 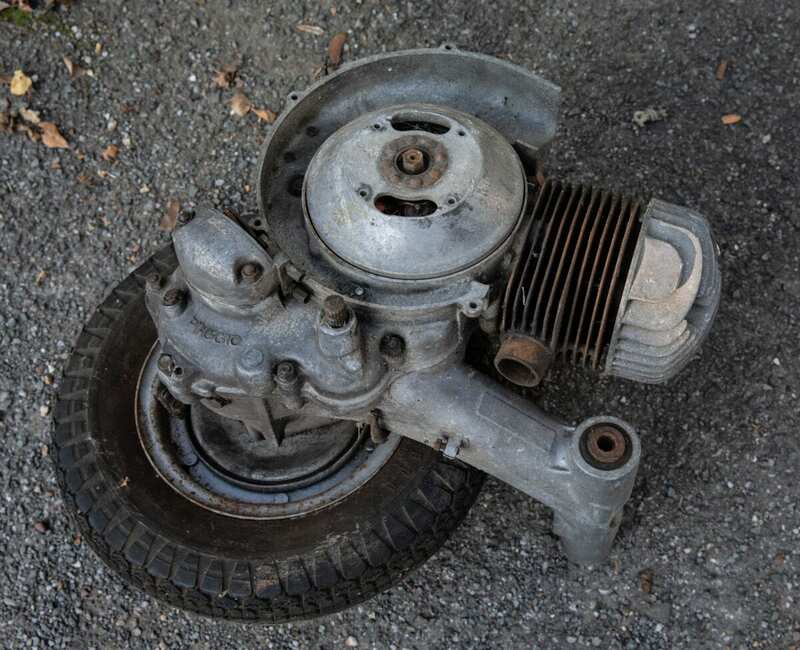 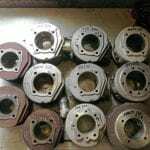 It has all the major parts necessary for restoration. 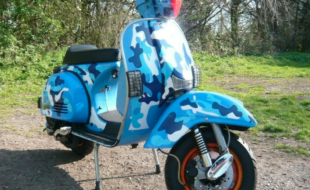 At the time it was stolen it was mot’d. 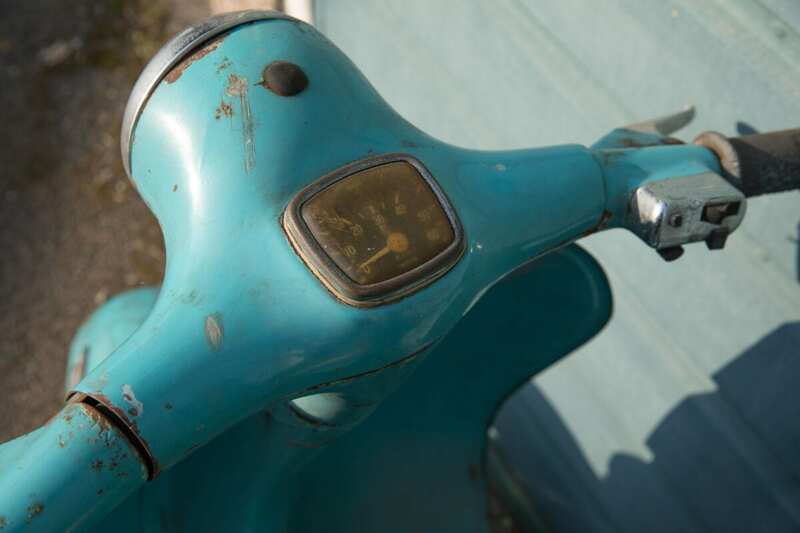 There are no major rust holes or damage to the frame. 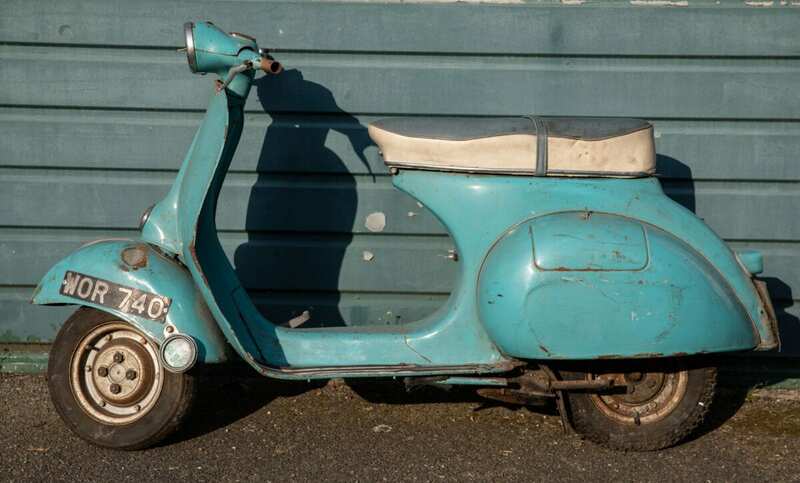 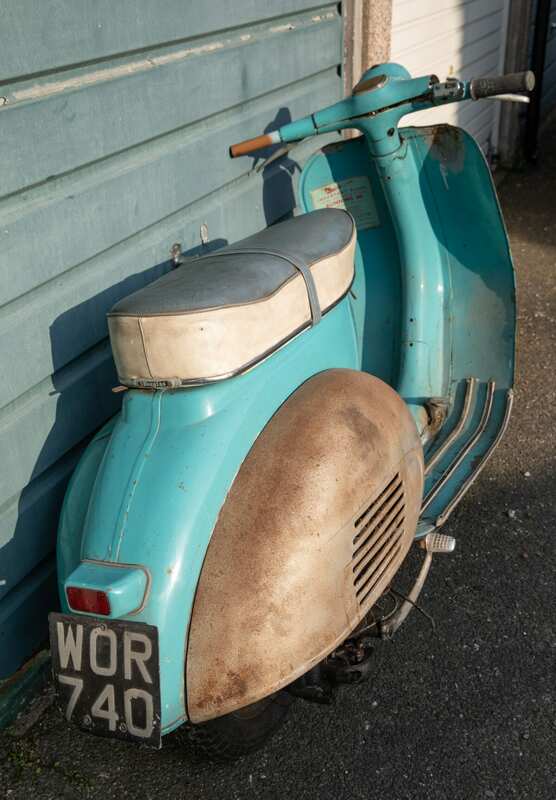 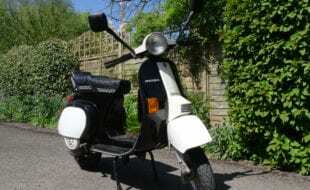 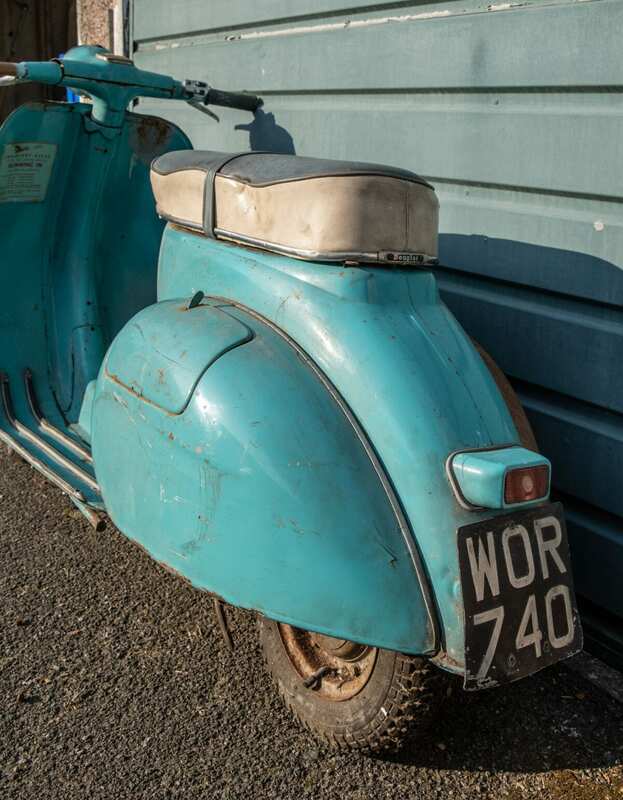 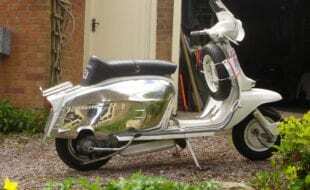 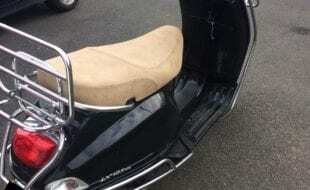 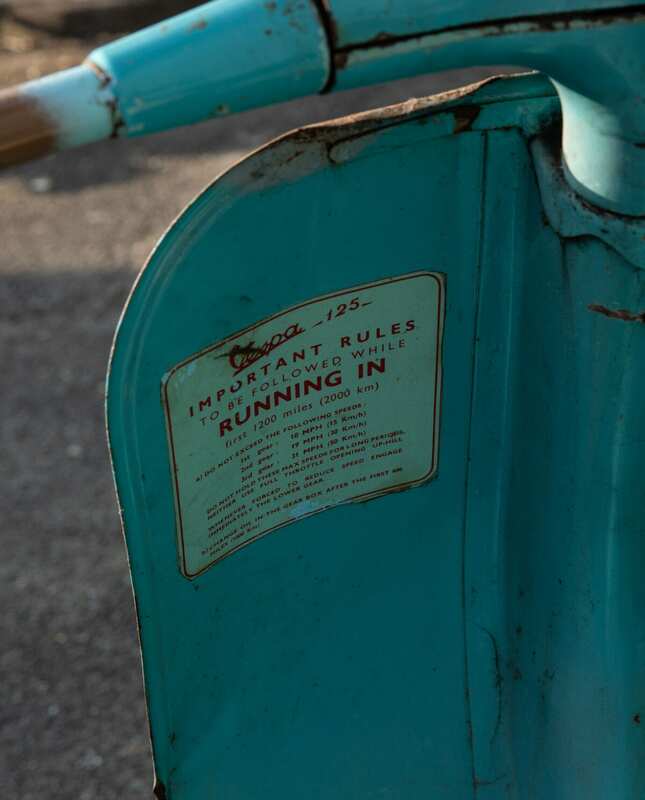 Having its original registration number and log book this scooter is the ideal basis for a full restoration. 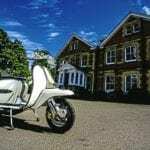 Available to view in London N7 can be delivered in the south of England for an agreed fee.